In 1999, when Abukar Adan was 4, his family came to the U.S. from Ethiopia, where they’d been farmers. A year later, they settled in Maine — first in Lewiston, then Portland. 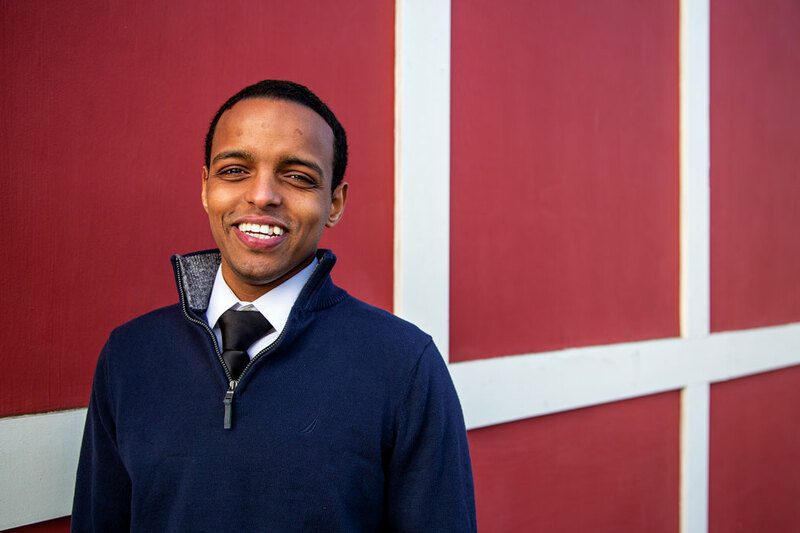 Last year, Adan graduated from Colby College, and now — recently moved out of his parents’ house — he’s the newest reporter at Maine Public Radio, where he’s finding that having grown up both an immigrant and a Mainer is shaping his role as a journalist. 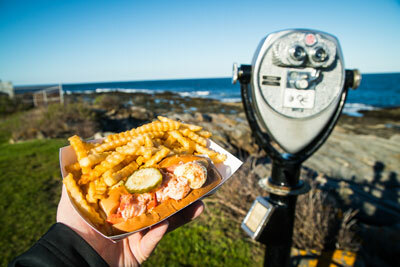 What brought your family to Maine? Like many immigrants, we found other people like us. In Ethiopia, we were an ethnic minority — religion was what kept people together. Portland has a sizeable immigrant community, but it wasn’t so much that Ethiopians were here but people who are Muslim. I think my parents found the Somali community to be very familiar. When did you realize you might want to be a journalist? I knew I was really bad at math and science, so I was like, how do I feel better about myself? I’m kidding. But in high school I started piling on history and English electives — reading creative nonfiction. That’s when I realized. But I didn’t really know how to go about it. At Colby, I majored in government and education, and things just sort of worked out, because I fell into journalism without taking a single course in the subject. How did you get your feet wet? I spent a summer on a fellowship in India, working at an education NGO. I heard that a couple of friends were blogging for the Huffington Post, so I reached out to the education editor there — I knew they weren’t going to pay, but they have a huge following. So that was the first place I actually did journalistic writing. And later you applied for the Maine Public internship. Especially since you grew up here. That’s been very helpful. I know Maine better than I know anywhere else. Also, I have these nuanced perspectives that many Mainers don’t: I’m attuned to what’s going on in the immigrant community, but I also lived the life of your typical Mainer; my education was half in public schools and half at Waynflete; I came from a poor background and went to this elite liberal arts college. I was at the crossroads of a lot of things. How does that impact your work? I’m able to navigate these different communities within the state. As an intern, I pitched a series of stories about Muslims in Maine because I’m in this community and I see business people and teachers and scholars who do incredible work, who have been here for no more than a generation. I think the stories went locally viral, partly because of the political climate but also because those stories weren’t being told. Sometimes I’ll speak the language someone’s most comfortable with. I think that was one point where people were like, oh, this guy can be a serious journalist. Is it harder for you to cover, say, laid-off millworkers in Madawaska? Well, my first real radio assignment was a Trump rally at Merrill Auditorium. I was talking to a lot of these supporters who drove from all over Maine. To ask them questions without objecting or interjecting and just genuinely trying to understand where they were coming from, I thought that was one of the best experiences I’ve ever had — seeing how journalism can give me access to places and people I wouldn’t otherwise engage. That’s one of the great things about it. My entire life, I was always navigating between cultures that sort of conflicted. It happened quite a few times that my parents would tell me something that directly contradicted what teachers told me. That was kind of difficult, but it helped me recognize that depending on where you’re from, your understanding of the world can be very different. Having that in the back of my mind allowed me to go to a Trump rally and be like, this person’s truth — even if factually inaccurate, even if dangerous — is how this person understands the world. I think it’s really important to tell those stories because we’re so cut off from each other today.